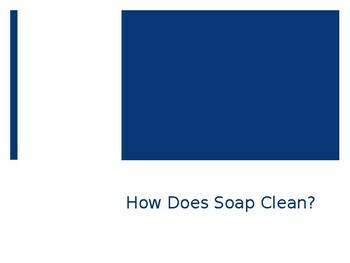 This is explaining how soap cleans. 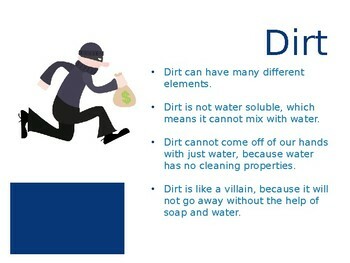 It compares the soap to a superhero and the dirt to a villain. 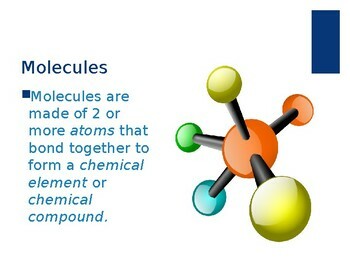 At the end of this presentation, I did an activity where students can see how soap breaks down the molecules in oil. They have a cup with water and canola oil. 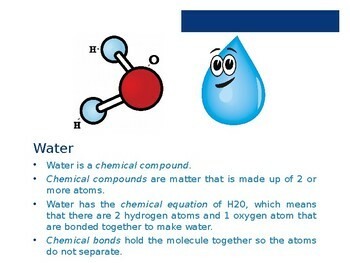 They notice how the two substances do not mix. However, when the soap enters the water they begin to mix. A simple and fun activity to illustrate different properties! *I do not own the images in this PowerPoint.